An appropriate post for the first day of Spring! It's a bit chilly where I am, but I can't complain as the last 2 days here in NC were in the 80's! I'm feeling very ready for Spring and Easter this year! I've been wanting to make some simple, but fun cards and had BRIGHT scallops and white ink in my heads for a few days now. 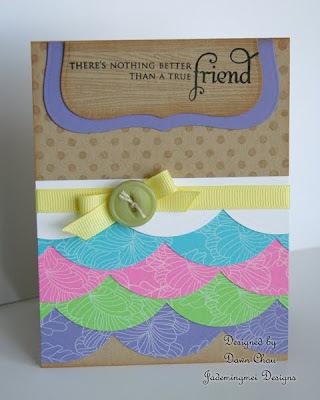 I dug out In Bloom and white craft ink for this project. 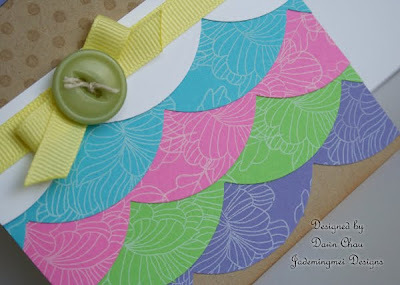 I love how well the white ink shows up on these bright colors! The top scallop is just plain white cs that I added my pastel yellow ribbon on to. My scallop strips were originally cut in 2 inch increments, but after punching them out, I discovered they were much too wide. I cut off a 1/2 inch and used those strips on notebooks! How fun, right?! 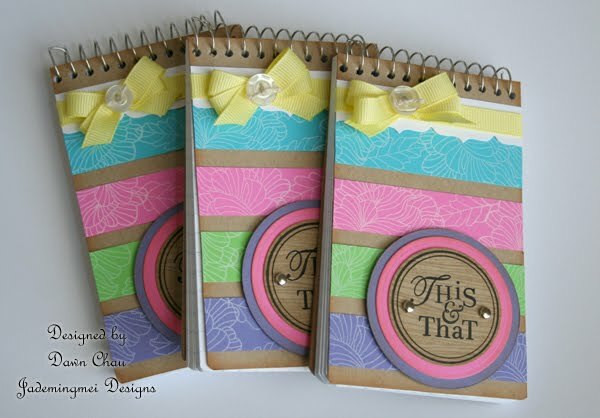 The sentiments used are from Take Note! I love the little pencil! 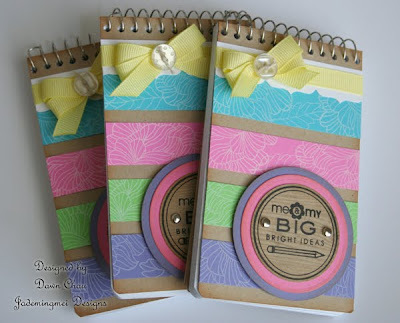 Stay tuned to the blog this week...I will be dedicating this weeks posts to all things mini-notebooks! I even found some old cooking charms that worked perfect for my grocery list notebooks...squeee! I love all your notepads!! So cute!! I love the spring card...and I love the notebooks. I am excited to see what you'll be sharing this week! They are all just lovely and perfect for Spring, Dawn!